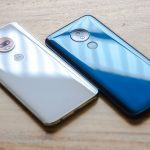 The Motorola X Phone is rumored to be the first Android device jointly developed by Google and Motorola in the post-acquisition era, but its existence has been mostly speculation…until now. 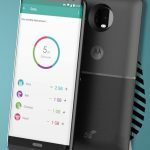 A job listing posted to LinkedIn by Motorola Mobility is looking for a Senior Director of Product Management to work directly on the X Phone project. And, yes, they indeed refer to it by that name. 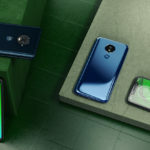 Motorola is seeking a qualified individual to head up the development and execution of a “next generation smartphone platform,” but don’t expect to find any details on the phone buried within the text of the listing. The outline of desired skills and experience speaks mostly in generic terms about mobile product development. Sorry, but we aren’t going to learn the processor spec or display size by scouring Moto’s wanted ad. The odd thing about the listing is it reads as though development of the X Phone is still in the early stages. That wouldn’t necessarily jive with rumors that Google could launch the device as soon as their I/O developer conference, but, again, it’s nearly impossible to glean anything from a basic job description. The fact that they are just beginning the hiring process for a product manager seems rather telling, though. Check out the listing in its entirety over at the source below.